Since smartphone came into our life, it has been influencing almost every spectrum of our socio-cultural movements. As a Linux power user, being able to run smartphone applications right into your computer means a lot to many. Android, the de-facto smartphone operating system used by people worldwide also leverages the Linux ecosystem to achieve its objectives. Android emulators are pieces of computer applications that let you run your favorite Android apps or games directly from your Linux system. In this guide, we’ll outline the top 10 best Android Emulators for Linux that you can use today to run playstore apps right into your Linux machine. Android emulators are, in essence, run as a sandbox software where they simulate the internal hierarchy of your regular Android smartphone. Due to resource constraints, many Android devices are unable to run the most trending games or apps smoothly in their smartphone. Emulators come in handy in such situations as they let users run such resource consuming apps in their computers, which usually have more than enough resource for such purposes. If you’re searching for the best Android Emulators for Linux, chances are you’ll stumble across the name Genymotion almost everywhere. It’s a versatile Linux Android emulator which lets users run Android virtual devices not only in the desktop but also on the cloud. The powerful desktop version offers all the services you’d look for in a top-notch emulator. Genymotion makes sure their users get what they want by providing the option of 3000+ virtual Android device configurations. It doesn’t matter which Android device you want to emulate; you can find pre-configured images of different Android versions and device images without any hassle in Genymotion. You can allocate resources like memory, storage space, I/O units just as much as you want to your Android emulator Linux. Genymotion also lets users test how their app reacts to changes in various battery levels quite intuitively. App developers can set interruptions for call or SMS when testing whether their application works correctly or not. The built-in disk IO throttling feature of this Linux Android emulator lets even emulate devices with very slow internal storage. You can easily forward sensor events like gyroscope data from any Android device to your Linux machine with this powerful Android emulator Linux. Genymotion is pixel perfect, meaning it can display any Android application on your screen precisely at its original size. This Linux Android emulator is a hundred percent compatible with Android SDK tools and Studio. This multi-platform emulator lets developers test their websites in several Android browsers right from their Linux system. The Andro VM project also comes from the developers at Genymotion, and it indeed shows their intention of bringing the best Linux Android emulator for us. Like Genymotion, this awe-inspiring Android emulator Linux packs so much power into a single package and is definitely falls among one of the best Android Emulators for Linux. Offline connectivity is where Andro VM triumphs Genymotion. When you run your Android apps or games inside the Genymotion emulator, a stable internet connection is mandatory. However, Andro VM lets you run such applications seamlessly without needing any sort of network connectivity. As Genymotion’s parent project, Ando VM contains many similar functionalities such as compatibility to Android SDK, sensor events following, and among many others. But, the offline operating mode is what makes this powerful Linux Android emulator stand out from its counterpart. 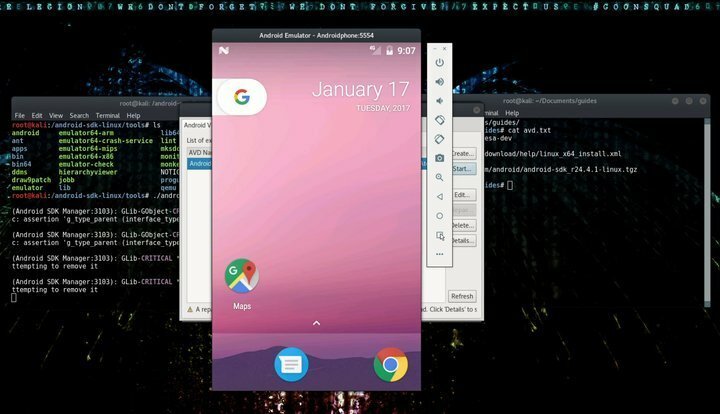 This Android Emulator Linux comes with built-in support for OpenGL – which, in turn, equipped with adequate PC resources allows for a far more powerful rendering than you’ll get in your everyday Android device. Although very striking in terms of performance and efficiency, this fantastic Android emulator requires you to have Virtual Box installed and configured in your Linux machine. This enigmatic Linux Android emulator is available for both 32 bit and 64 bit systems – thus able to run smoothly in almost every Linux system despite variation in instruction length of your kernel. Contrary to many Linux Android Emulator, Andro VM works smoothly even without any kind of network connectivity. Anbox is one of those Android emulators for Linux which were developed specially for playing with Android applications directly in your Linux system. One of the most modern emulators in this list, Anbox has been enjoying a cult following since its inception into the mainstream emulation world. Even the motto of this amazing emulation platform is to enable every developer to run their favorite Android apps in their Linux system irrespective of differing distros. If you are looking for the best Linux Android Emulator that will let you play even the most resource intensive games natively, Anbox is here for you. This powerful Android emulator Linux places the core Android OS into a containerized platform while abstracting low-level hardware accesses so you don’t have to worry about performance metrics. Anbox integrates the core system services of Android directly into your existing Linux operating system, thus allowing for a far more accessible and optimized emulation. No matter what Android application you install in your system, it will act like and perform like a native Linux software. Anbox puts every component of the Android OS into an optimized container and mixes its core services with directly that of your Linux machine. This modern-day Linux Android Emulator leverages the standard Linux technologies like containers (LXC) to differentiate between the emulator and your Linux system. 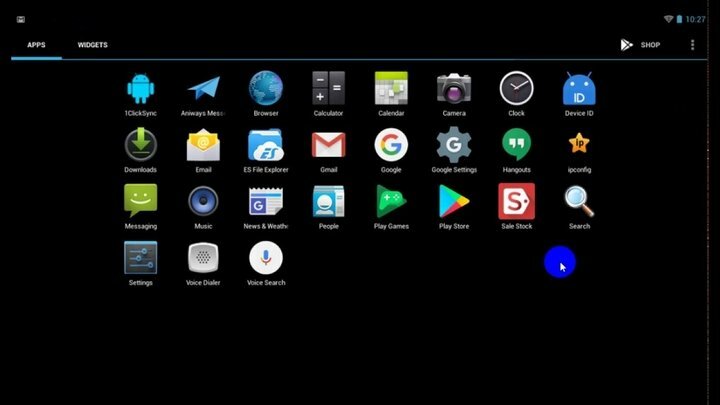 You can select from any Android version to use with this versatile Android emulator – from Cupcake to Oreo. The open source nature of this Android emulation project caters to the demand of post-modern developers who like to play with their software and add convenient packages for fun. The containerized design of Anbox makes it exceptionally secure compared to most other Android Emulator Linux. Android-x86 is one of those pioneer Android emulators for Linux that aim to make it possible running your Android emulation directly into your PC hardware. Their objective was to deliver a top-notch Android emulator for Linux which will take the Android ecosystem out of the traditional ARM chips used in smartphones and will run efficiently in both AMD and x86 based hardware. And after succeeding to run abundant resource intensive Android apps without slightest of lags ourself, we can assure you that this powerful Android emulator lives up to its prognosis. One of the best open source Linux projects for Android devs, Android-x86 enables us open source fanatics to modify the emulator as we see fit. Plus, like Andro VM, you can deploy your apps and play with them as you like without the need of any network connection. Although this Linux Android emulator requires you to install and configure the Virtual Box sandbox for running the emulator, the free downloadable ISO image lets you create your own Live Android distro quite easily. The Android-x86 requires a Virtual Machine installation to run Android apps but can be installed as a standalone Live system, thanks to the convenient ISO image. The default support for netbook native resolution helps this Linux Android emulator to adjust appropriately to your PC screen and thus utilizes resources in a much more optimized manner. Android-x86 comes with in-built support for Wi-Fi and provides an intuitive GUI to access and configure your network connections. If you want to mount your existing Android memory storage directly to your Android emulator Linux, you can do so pretty quickly with the Android-x86. The default debug mode features busybox and will come in handy when locating bugs in your Android apps. The fifth feature in our list hit the market targeting people like you who want to get up and running with their Linux Android emulator as fast as possible. Contrary to most Android Emulators for Linux, Shashlik doesn’t require you to install a Virtual Machine in your Linux system to function. Instead, it utilizes an incredibly stripped down Android base consisting of only the core components and combines it directly into your current system session. As a result, this Android emulator Linux outperform many of its competitors in term of performance. However, the project is still in its development phase, and the beta versions are often cradled with some unavoidable bugs, leading many users to choose from other Android Emulators for Linux. Don’t lose excitement though, Shashlik still supports many surprising and useful Android apps and can be used to emulate even the most resource massive games. We suggest you give this fantastic Linux Android emulator a try before settling with any other. 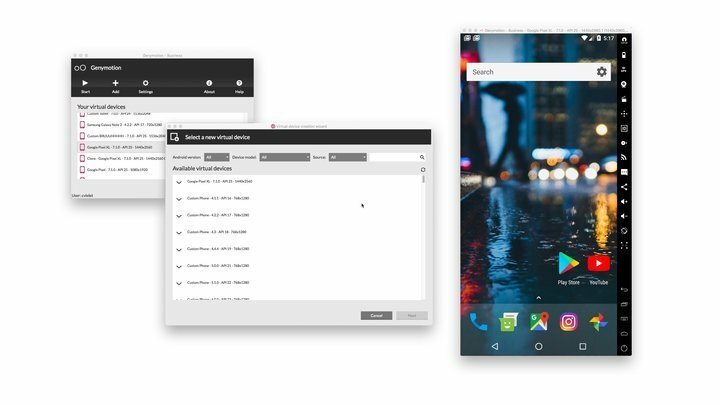 Instead of running itself inside a Virtual Machine, Shashlik integrates the core Android packages into your active Linux session and acts like native software. Shashlik leverages the OpenGL infrastructure of your Linux system in order to render the graphics, thus leading to a smooth experience when running newer games. Although usable in most mainstream Linux distros, Shashlik developers recommend you run it on the KDE Plasma environment. One thing where Shashlik seriously falls short is the inability to run apps that utilize Google Play Services, so if your app requires a lot of these services we recommend you look forth. ARChon is a rather unusual Linux Android emulator that will leave you awe-struck. This is one of the unique Android emulators for Linux by our judgment. ARChon doesn’t function inside a Virtual Machine and not like any other emulator that you install in your Linux system. Instead, it utilizes the Chrome browser’s powerful runtime and hitches the emulation compounds into it directly. So, no matter what version of Kernel you’re running or what Linux build you’re using, you can run this Android emulator Linux effectively in every system. ARChon already supports quite an impressive number of Android games and applications, while support for more mainstream applications are in the process as we speak. Just install the ARChon Runtime in your chrome browser and type “chrome://apps” on the address bar and press Enter. You will need to configure the settings as per your need, and you can then get started trying out the real fun. You can even repackage your own Android apps for Chrome to use via ARChon by utilizing some powerful NodeJS modules. Rather than providing full-fledged virtualization of the entire Android OS, ARChon comes into play inside the Google Chrome runtime. 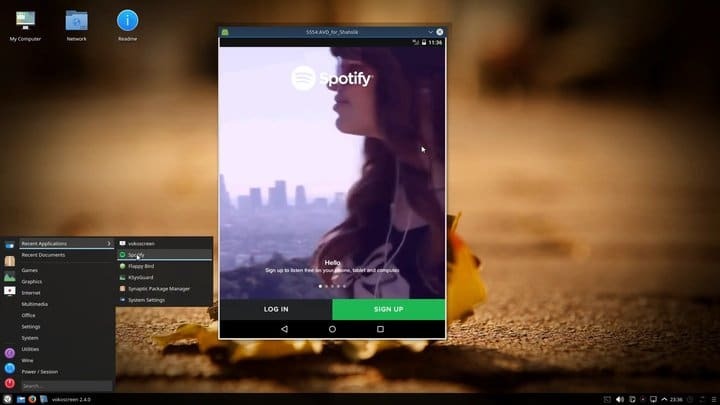 Although app support is still minimal till the writing of this guide, developers can quickly re-build their Android applications for running in this Linux Android Emulator. The open source nature of this enigmatic Android emulator Linux lets developers experiment with the software and modify it according to their liking. The ability to emulate Android apps without the need for any dedicated Virtual Machine places ARChon among the best Android Emulators for Linux to run into older systems. This is arguably one of the best Android emulators for Linux that you can get your hands on. If you’re looking for official documentation and support directly from Google, the creator of Android; Android SDK is the way for you to go. Almost anybody that takes Android app development professionally ends up utilizing this powerful Linux Android Emulator to test and run their awe-inspiring Android apps. From surfing the internet to play around latest games, Android SDK opens up a whole new world of Android emulation right in your Linux machine. Although quite a resource-intensive itself, this amazing Android emulator Linux equips a lot of firepowers to enable you a seamless experience of native Android systems and will be more than enough to run traditional Android apps quite smoothly. On the plus side, the sufficient high-quality documentation and online tutorials of Android SDK make it exceptionally easy to adapt to for even the newest of developers. So, if you’re in search for an official Android Emulators for Linux, we whole-heartedly suggest you try out the Android SDK at least once. As the official Android development utility, Android SDK comes with built-in support for all the Android functionalities including SD Card support, convenient file transfer, Wi-Fi, GPS, Sensors, and many more. Android SDK outshines most Android Emulators for Linux in terms of the number of application supported. The emulation is comparably faster than contemporary emulators and can simulate different configurations and features, including ARCore – Google’s augmented reality platform. Android SDK gives developers the ability to customize their build as they see fit, leading to more productive app developments. 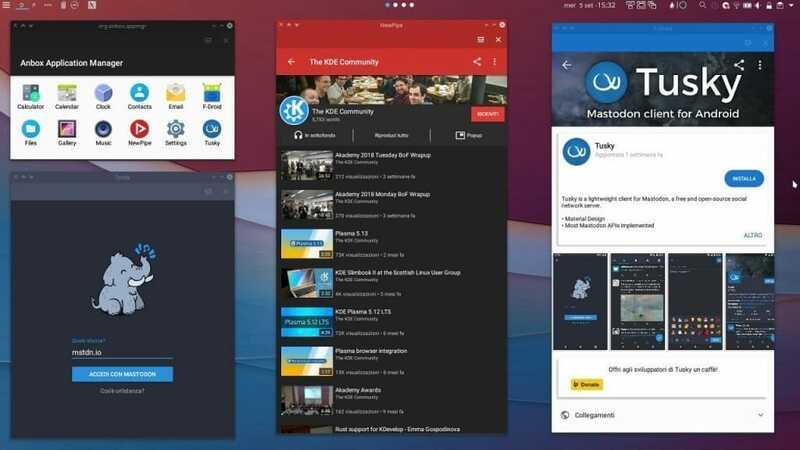 If you are looking for a powerful Linux Android emulator to take your smartphone gaming skills to the next level, Andy OS will arguably turn out to the best bet for you. This powerful yet sleek Android emulator aims to hit the spot with gamers and is undoubtedly a success in doing so. Apart from its gaming performance, Andy OS has already proven itself as one of the best Android emulators for Linux in terms of overall performance. We strongly suggest you check out this mesmerizing Android emulator if all you want to do is play your favorite Android games in max settings. Although still in its beta release, Andy OS supports comes out with a lot of built-in features to enable you to take the most out of your Linux Android Emulator. It reads the sensor events relentlessly and offers a much better visual experience compared to your regular Android smartphone. Overall, Andy OS is one of those flexible Android emulators for Linux that succeeds in bringing your favorite Android apps directly onto your PC screen. 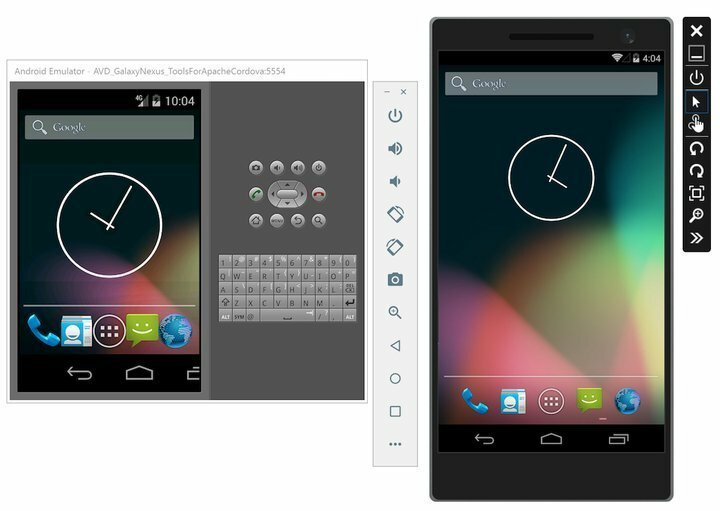 Andy OS lets you sync your regular Android smartphone with the emulator. You can use your phone as a controller to your Emulator and can send Desktop Push Notifications and Keyboard Mappings pretty easily. The ability to use your Android device as a remote or gesture controller when playing games makes this Linux Android emulator far more exciting. Originally developed for the Windows operating system, thanks to WINE, Jar of Beans can be easily run on your Linux machine. So, basically, it’s a Linux Android Emulator that’s been emulated by WINE. Installing this resource-heavy Android Emulator Linux can pose some serious hassles though. Thus we only recommend to you if you’re comfortable installing and configuring non-Linux software through the WINE. Apart from the initial inconveniences, Jar of Beans offers quite a lot of powerful features that you’d expect in most everyday Android emulators for Linux. Jar of Beans lets users install Android applications directly from the Google Play Store, which is a plus if you don’t want to go through loads of re-builds to run your favorite apps. The native support for SD card in Jar of Beans lets you easily mount your existing Android device storage to the Linux Android Emulator itself. Although powerful, Jar of Beans has its own share of disappointments associated with it, and we’ll only suggest it for people who have very few options left for running their Android apps. Jar of Beans comes out with in-built support for Intel Hardware Accelerated Execution Manager (HAXM), which helps this Android Emulator to improve overall hardware acceleration. This Android emulator is exceptionally portable which makes this an ideal solution for developers who are always on the run. You can select and modify the screen resolution as you see fit in Jar of Beans and can switch easily between regular Android mode and Tablet mode. The most recent multi-user support lets Jar of Beans users save their own customized settings without any obstacles. 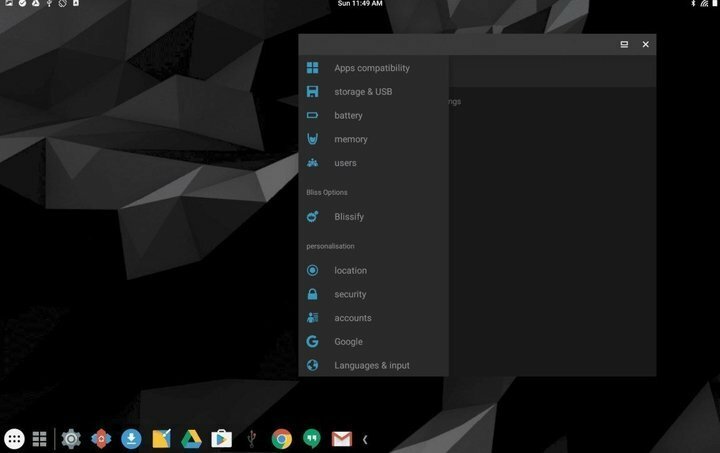 Bliss is a powerful open source OS based on Android that aims to run your favorite applications natively in your Linux system. It is one of those Android Emulators for Linux that gives users the power to utilize their system resources more efficiently when running even the most resource intensive games. The developers have curated out a really impressive package that lets almost any Linux users run their favorite Play Store apps like a system level software. Bliss offers quite a number of ROMs and GSI builds among which the x86 variant is the one you’ll use to run your Android apps in your Linux Machine. It supports booting from either MBR or UEFI type of bootloaders, thus is guaranteed to run smoothly in about every Linux computer. A project from the renowned XDA developers, Bliss is fun to use and powerful when considering performance metrics. 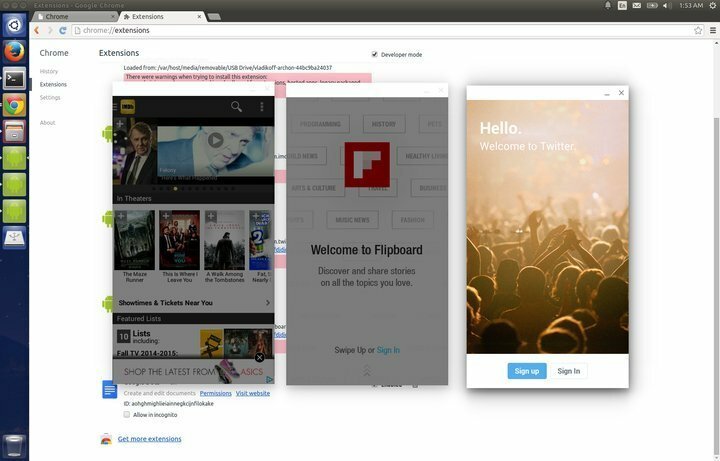 Bliss comes with a considerable number of customization opportunities so you can easily modify the look and feel of your Linux Android emulator. It has been optimized to be as much resource-friendly as possible. The performance focused design and implementation makes it possible to run even the most demanding Android apps fluently in Bliss. Bliss takes security quite seriously and features regular AOSP updates to stop malicious apps from cradling your system. If you’re a seasoned Linux system user; you should know how hard it is to find the best Android Emulators for Linux. Most professional emulation systems like Bluestacks and NOX aren’t available on Linux, and people quickly end up running old and out of fashion Linux Android Emulator. Our expert team has curated this guide after long hours of research so you can run your Android apps in your regular Linux system as smoothly as possible. 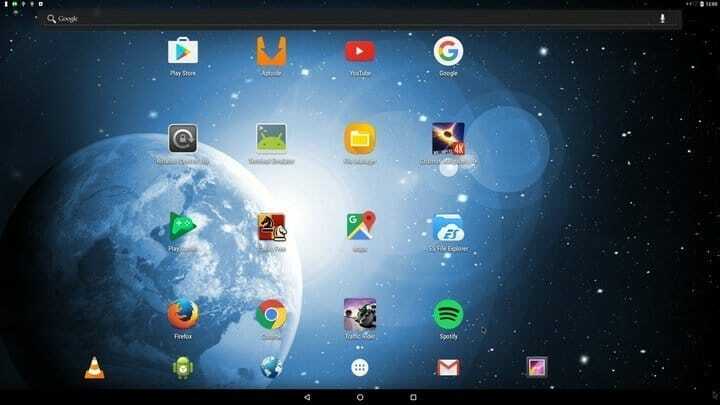 We found many of these Android emulators more than capable of handling everyday Android apps, while some like ARChon offers a more creative solution to Android emulation. We hope this guide serves you well in your quest to find the best Android emulator for your Linux system. 1- Genymotion does not run arm apps, and barely runs successfully any apps at all. 2- Andro VM does not exist anymore. 3- Anbox in in pre-alpha state and it will be a long time before it can be usable. 4- Android-x86 maybe one day will be more useful, for now it does not succeed much further than loading android on Linux through a virtual machine. Has trouble running on old computers and few apps work. 5- Shashlik is long abandoned. 6- ARChon is long abandoned. 7- Android SDK is a tool for android developers to use and no more than that. 8- Andy OS does not have a Linux version, neither the Windows version works on Linux. 9- Jar of Beans does not exist anymore. 10- Bliss does not focus on performance neither works on older computers. It’s basically a copy of Android-x86 with a panel. None of these have anything to do with Bluestacks, MEmu, KoPlayer or Nox or similar applications, which unfortunately do not have Linux versions.